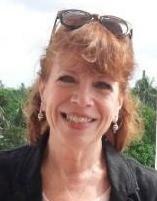 In this interview, Jana Telfer describes how she became involved in the Ebola response in Liberia in 2014 when a CDC colleague recommended she come to assist the Liberian government in a risk communication approach to the crisis. When she arrived in September, she says, 60 different NGOs were working on 250 different projects. Along a similar vein, communications strategy lacked structure and there were simply too many voices to establish a coherent message. In the end, through coordination facilitated by the national Incident Management System (IMS), Liberia developed the most sophisticated Ebola message manual of the three affected countries: Sierra Leone, Guinea, and Liberia. She explains that the messaging took an upward turn when traditional chiefs became involved in message dissemination, resulting in more significant behavior change in their respective communities.